It’s time to build our legs! Which exercise shall we use? Of course, the first option of the vast majority of lifters would be the back squat. It is a great exercise for developing strength and hypertrophy of all your leg muscles. However, it does have some weaknesses: they are an inherently unstable exercise, they require a lot of coaching and technique development to do them safely and while they do work all the muscles, they are not good at isolating any of them. They might well be the first exercise of your lower body day. However, after it, you’ll need something that will build your quads more effectively. Here come the leg press and the hack squat. Instead of choosing an isolation exercise like the knee extension for our quad builder we’ll compare the two most used compound movements, the leg press and the hack squat, their benefits, and shortcomings, how to perform them correctly and how to include them in your program. Of course, neither will dethrone the king: the squat, which has been shown to be superior. Both work best in tandem with it. But now, let’s settle the leg press vs hack squat debate. The leg press is both an exercise and an exercise machine. Fortunately, nearly every gym has one – it is much more common than the squat rack. As an exercise, its purpose is to build strength and size primarily in the quadriceps, with the hamstrings, glutes and even calves being secondary muscles. It has been used by countless bodybuilders, weightlifters, and other athletes. 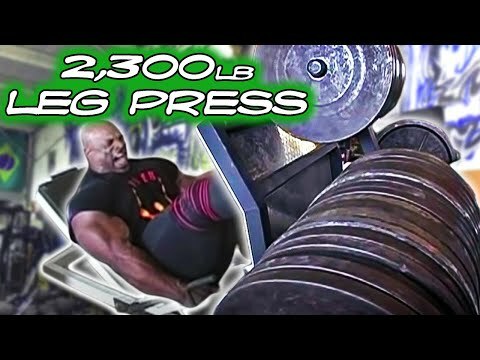 For a little motivation, here’s Ronnie Coleman doing 2,300 pounds for reps. The leg press is simple to learn and do, even for beginners. You lie down on the machine and set your feet shoulder width apart. 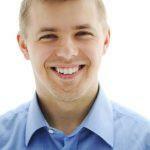 They shouldn’t be too low or too high: with experimentation, you will find the best placement for you. Next, you initiate the movement by letting the weight push your legs down slowly until they come in contact with your ribcage. At all times, your glutes should be pressed into the padding and your lower back should be flat and not rounded. For speed, think of lowering with a three to five-second tempo and going up faster, but still controlled. This is not a movement you want to do fast. We want to build muscle and working the muscle properly throughout the whole range of motion is crucial to see the results. Another important point is to NEVER LOCK YOUR KNEES ON THE TOP OF THE MOVEMENT. Always, always keep a slight bend in the knees. This will both ensure that the muscle is always under tension and prevent horrible injuries. You don’t want that to happen to you. Fortunately, there is no risk if you do the exercise in the way I described it here. Remember that the leg press is meant to be an assistance exercise for hypertrophy, of which volume is the primary factor. No need to push for a one rep max: stay in the 8-12 zone for most of your training on this machine. The leg press is the best exercise to target all three of the quadriceps muscles in isolation. It is easier to achieve that than with the squat due to the constant tension being placed on the muscle. The bottom position in the leg press closely resembles the bottom position in the deadlift. Therefore, this exercise can be used to build your deadlift strength off the floor by helping your build that end-range-of-motion strength in the quads. For a weak beginner or someone in rehab, the leg press is an excellent way to introduce the squatting pattern at a load much lighter than full bodyweight. Over time, as the person gets stronger, you can start introducing the barbell squat into their training while keeping the leg press as an accessory. For an intermediate lifter, the leg press is going to be most helpful if you have hypertrophy goals (and let’s face it, who doesn’t?). They allow you to use all of the muscle building techniques like drop sets, cluster sets, pyramid sets etc. with less total body fatigue. For an advanced lifter, they are a way to develop their muscles to 100% of their genetic potential, but also to overload the squatting pattern much much more than they could with a normal squat. The leg press does not work the whole leg equally. It places special emphasis on the quads while excluding the glutes and the hamstrings. If it is used as an accessory to the squat, there is no problem. However, some people use it as their only leg exercise. Don’t do that. Incorrect form on the leg press can lead to lower back pain. When the hips aren’t pressed firmly into the bottom of the machine, but allowed to move, you get heavy shearing forces right onto your spine. Not a good thing. Keep your form tight and avoid unneeded injuries. In relation to the previous point, the leg press does little to activate your core. While this is not necessary a bad thing in an isolation movement, it still doesn’t do anything that would reinforce the correct squatting pattern (like the hack squat does). A common myth is that It spikes blood pressure more than other exercises. In reality, the study people reference only compared it to curls and overhead press. Of course, it is going to raise the pressure more than those two, but what about squats and deadlifts? The fact is that all exercises where you handle heavy weights are going to raise your blood pressure. Consult a doctor if you are worried about that. There are two exercises that both carry the name hack squat. Someday, somebody had a brilliant idea: he was going to combine the deadlift and the squat into one exercise. And so, the hack squat was born. Like the leg press, the hack squat’s primary purpose is to be a multi-joint movement that targets the quads predominantly. In addition to working the legs, they also work the back and your forearms. Someone else, presumably on some other day, had another brilliant idea of creating an exercise machine that would do the same thing as the leg press, but with the weight on your shoulders, just like a regular barbell squat. A pair of small weight plates also works. The reason why this work the quads so well is the bigger range of motion for the knee joint and less for the hips. This does increase the forces on the knee and you will have to use significantly less weight. But as I said before: don’t worry about the weight with this exercise. This also isn’t an exercise for everybody. Since the stress on the knees is larger due to the angle, anyone with knee issues should stay away from it. Unlike the leg press, the machine version of the hack squat is much closer to the actual squat pattern. All cues that would apply there are valid here also. That means: keep your chest up, back straight, core tight, lower back in a neutral position. From there, squat down, making sure that your knees track over your second toe. And essentially, that’s all there is to it! There is a slight difference in the support you will receive from the exact type of the machine and whether you do it facing forwards or backwards, but in the end, this is an exercise to target the quadriceps: go with what gives them the better burn. As a side note: there is another version of the hack squat you might want to try: using a kettlebell and standing on your toes. It was invented by George Hackenschmidt, nicknamed “Russian Lion”, and using a 70 lbs kettlebell with this exercise, although it doesn’t sound a lot, is considered strong. Due to the angle and depth you have to achieve to complete a rep, barbell hack squats performed in the manner above are excellent at developing the strength you need to get out of the bottom of the squat. This is where both variations are better than the leg press. Because your back and hips are not fixed, they can move exactly how they would during the squat. This means you have to pay a bit more attention to form, but also makes them more relevant and have a higher transfer to the king of exercises. Like the leg press, the hack squat is best used for hypertrophy of the quadriceps muscles. Due to the angles during the exercise, it places more stress on them and more stress equals greater emphasis. Since the machine helps you with stabilization, some muscles that would normally activate during a regular squat won’t need to due to the additional support. The barbell version is a much more compound and whole body movement. That has its benefits, but also drawbacks. Your core and grip probably already take a beating in training. More work for those areas might not be what you want: maybe you’re looking for more isolation. Both exercises do their job extremely well. They target and build the front of your legs to look like a century-old tree trunk if you put in the work. Both machine versions are very similar. The barbell version adds an element of grip and back work, which will be something you either want more or less of. For people looking to improve their deadlift, the barbell hack squat is the way to go. For people who exclusively want hypertrophy, I’d recommend the leg press, simply because of the ease of using advanced muscle building methods like drop sets, and because they don’t add as much full body fatigue. On your leg day, do them after the main exercise as the first accessory. Do them for 3-5 sets of 5-10 reps. If the load is light and you are including them later in the workout, 3 sets of 12-15 repetitions is the way to go. On your leg day, do them after the main exercise as the first accessory. Do them for 3-5 sets of 5-10 reps. As they work the whole body more than the leg press, they are better for this medium rep range. 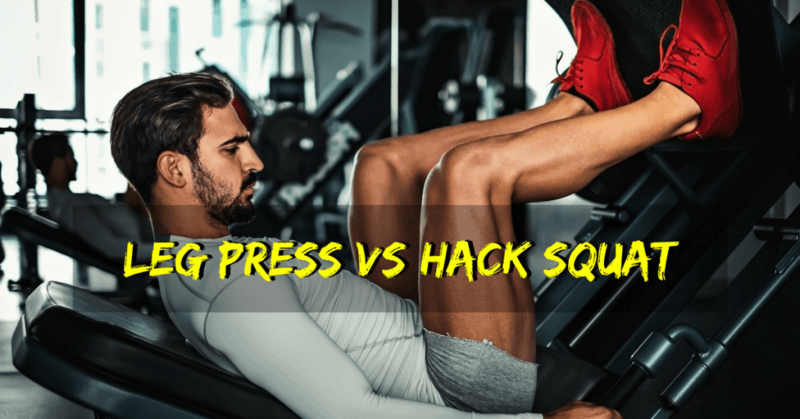 The leg press vs hack squat debate is a somewhat futile one. Both are amazing exercises. If you are looking for additional hypertrophy, you can’t go wrong with either. In fact, mixing them up from time to time could be most beneficial. Don’t forget that squats are still king and get those tree-trunk-like quads with these two in your arsenal.